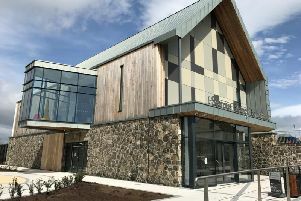 South Tyrone Hospital was forced to cancel 581 operations at short notice last year due to factors such as theatre times overrunning, lack of equipment, equipment failures and emergencies. Other reasons for the delays included patient cancellations and patients deemed clinically unsuitable to undergo procedures. The figures, which were released this week by the Department of Health, reveal the serious impact that Northern Ireland’s health system is having on frontline patient care. The picture was a lot worse at Craigavon Area Hospital, which saw 839 cancelled operations in the same period. The Royal Hospital in Belfast had the highest number of cancellations in Northern Ireland at 3254. Ms McKeown, who is Unison’s regional secretary, said the issue must be urgently examined. “We need to urgently get to the bottom of why there are 60,000 cancelled appointments as a consequence of staff not being there,” she added. Ms McKeown said a longer term strategy was now urgently needed to tackle the crisis. “How the system is dealing with this is, in my view, a very short-term, reactive way,” she said.